Dr. Taha Abdel Tawwab Mohamed, Physical therapist in Fayoum Governorate has become the first victim of the forthcoming presidential elections in Egypt. It has been reported that a senior State Security Officer Mohamed Abdel Tawwab summoned Dr. Mohamed to the headquarters of State Security Investigations (SSI) on 08 March 2010. The Officer interrogated Dr. Mohamed for his role in campaigning for Dr. el-Baradei at Senorse region in Fayoum Governorate and his involvement in other conferences for the same purposes. Dr. Mohamed was also questioned about his speeches in which he urged the public to defend al-Aqsa Mosque of Palestine. According to the testimony of Dr. Mohamed, the State Security officers severely tortured and detained him for one day for his alleged involvement in organizing the conference which he denied. In response to the ill-treatment and torture, Dr. Mohamed filed a complaint to the Chief Prosecutor and started a hunger strike until he gains his rights and the officers are brought to justice. 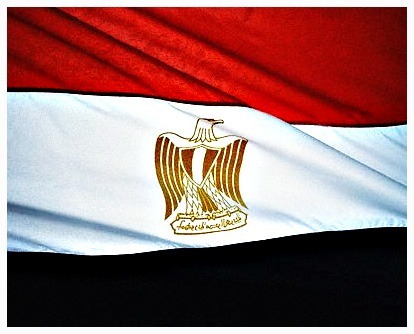 Egypt’s forthcoming presidential elections will be taking place in 2011. Dr. el-Baradei, former head of the International Atomic Energy Agency, is the only standing candidate who is expected to challenge President Mubarak’s 30 years of distasteful and oppressive rule. Dr. Taha Abdel Tawwab Mohamed was the first victim of el-Baradei elections campaign. He was summoned by the State Security officer Mohamed Abdel Tawwab who tortured him severely until he lost consciousness and eventually released him on Tuesday at 8am. Dr. Mohamed went to the Central Hospital of Senorse for treatment after he was released. The doctors advised him to stay for some days until he recovers fully. Meanwhile, he filed a complaint (No 1483 of 2010) and started a hunger strike until the officer who tortured and insulted him is brought before justice. A group of 30 lawyers, headed by Mr. Eid Sayyed Abdullah, filed a complaint to, Chief Prosecutor of al-Fayoum, Abdel Hayy Fazoura to investigate the incident.Chief Prosecutor Fazoura has assigned prosecutor Ahmed El-Gohary to carry out an investigation. He consequently sent two police officers to the hospital in order to question Dr. Mohamed but he refused to speak to them in fear of being re-arrested or tortured. He said that he would only speak before the Prosecutor. Dr. Mohamed stated in an interview that he was summoned to the SSI Headquarters by a policeman who threatened to arrest him if he did not show up to meet Mr. 207, which is the code name of officer Mohamed Abdel Tawwab. The torture of Dr. Mohamed is a clear violation of the national law and international conventions. The Egyptian government and the Chief Prosecutor of Egypt must investigate the incident and put an end to all kinds of torture of civilians in all police stations, State Security Headquarters and prosecutions.